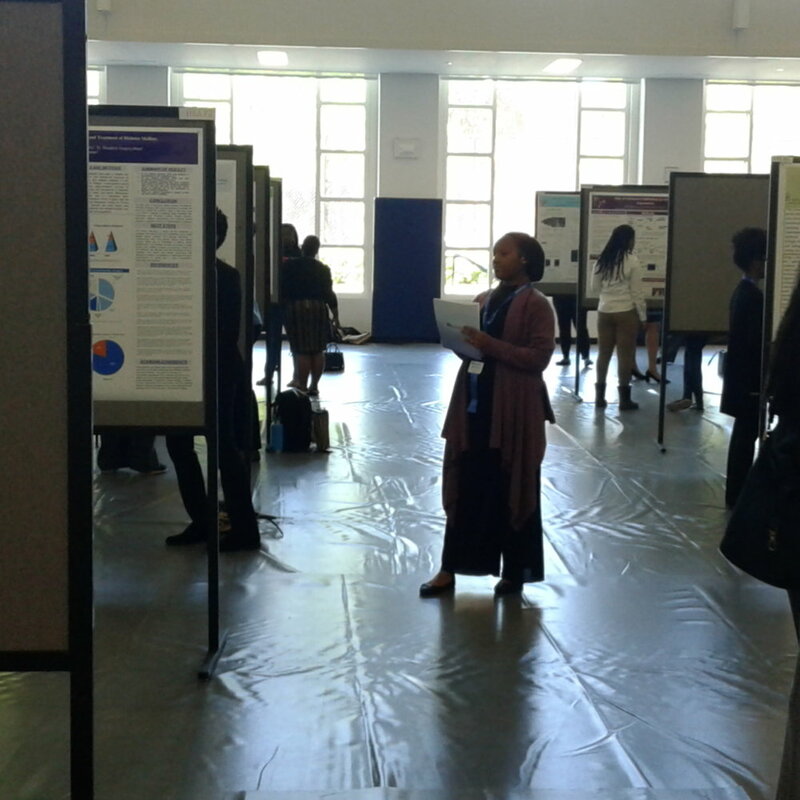 Our very own LaDena B. volunteered back in April in support of the Spelman College Research Day. The Spelman College Research Day is a day long event showcasing the scholar and creative work of over 200 students spanning 25 disciplines. Their theme to "'Inquire, Discover, Imagine, Explore, Create' represents Spelman's commitment to inquiry-based, student-centered, integrated learning." Spelman College specifically is historically a "Black college and a global leader in the education of women of African descent, [and] is dedicated to academic excellence in the liberal arts and sciences and the intellectual, creative, ethical, and leadership development of its students. Spelman empowers the whole person to engage the many cultures of the world and inspires a commitment to positive social change." Their Research Day is an opportunity to showcase these young women and their research, providing an avenue to share their findings and shape the community around them. LaDena B. volunteered as a judge, where she was responsible for poster presentations in the general area of science, including chemistry, physics, sociology, and mathematics. Those she judged did research in various institutions, including L'Oréal, St. Jude, National Laboratories, and more. "I have been judging at Spelman College's Research Day for the past 5 years and eagerly look forward to it annually. It is not only an opportunity for me to give back to my community and stay abreast of recent developments in research, but it's also an awesome opportunity to network with local professionals." Thank you LaDena for your commitment to this school and its students! Every Inflowee receives 16 hours of Volunteer Paid Time Off to support the charity of their choice. As a part of who we strive to be as Inflowees, we encourage each Inflowee to use their paid Volunteer time to support their local communities. This is just one way we Make it Matter.